That’s where companies like Volvo come in, they are one of the few manufacturers that are still producing wagons for those who want a sedan but also lots of cargo space. Volvo’s latest wagon is their V60, which was released alongside their S60 sedan. The design of the Volvo V60 combines Volvo’s signature Scandinavian craftsmanship in slightly boxy design. Since the V60 is a wagon, it’s basically an extended version of Volvo’s S60 sports sedan. That means you get lots of cargo space which is perfect for hauling things. The V60 can easily fit five people but it is slightly cramped in the back seat. The vehicle comes with a 9-inch touchscreen for the Sensus infotainment system and a 12-inch Driver display. 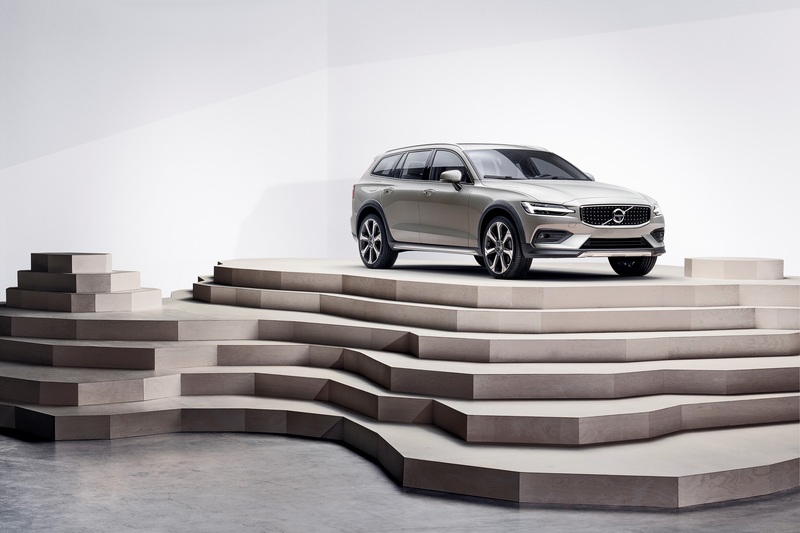 It’s worth noting that the V60 seating is low to the ground, which makes getting out of the vehicle slightly hard to do. 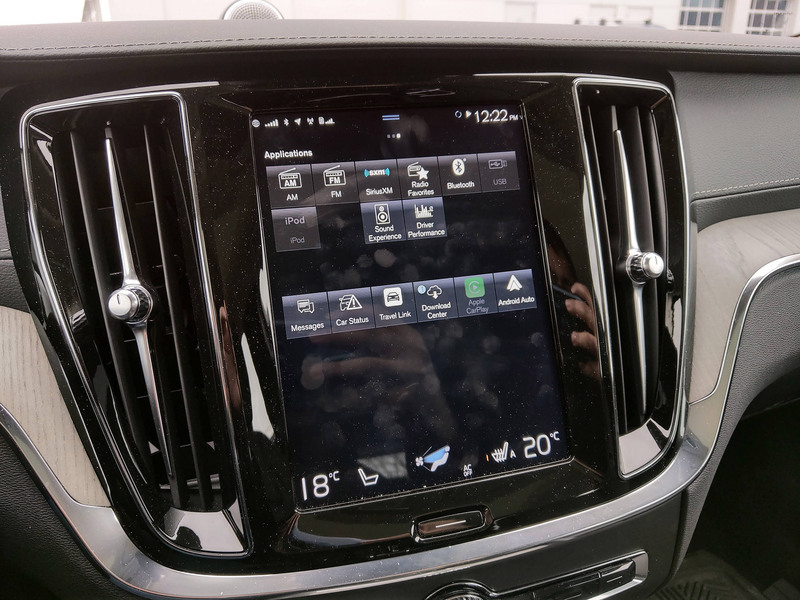 Using the Volvo Sensus touchscreen is fairly easy to use, you can do some functions via voice command but Volvo’s voice control needs some work. The V60 I tested was the T6 AWD Inscription model which also had quite a few technology features including Volvo’s Pilot Assist. 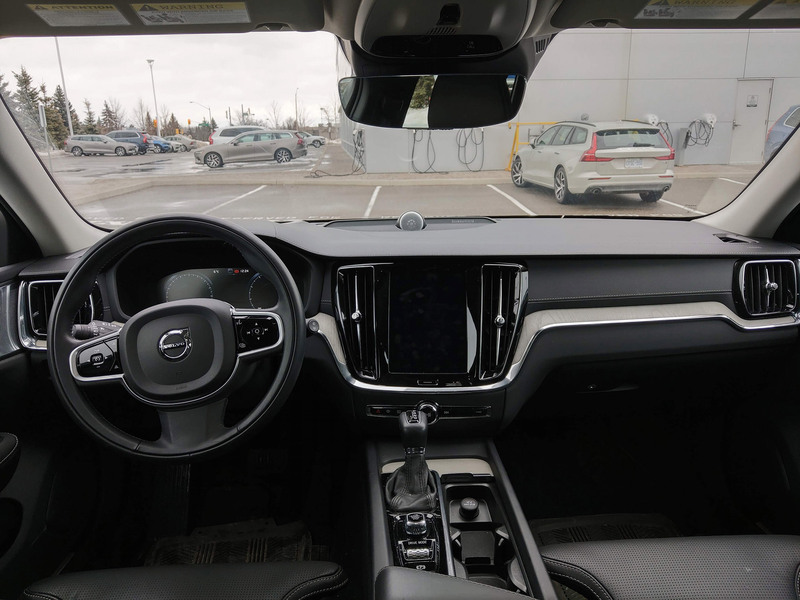 it combines Adaptive Cruise Control (which is cruise control but can automatically change your speed depending on vehicles in front of you) plus automatic steering to keep you in the lanes. To activate Pilot Assist on the Volvo V60, just press right arrow then the center button the left side of the steering wheel. You can adjust your speed and also how much of a distance you want to keep from cars in front of you. 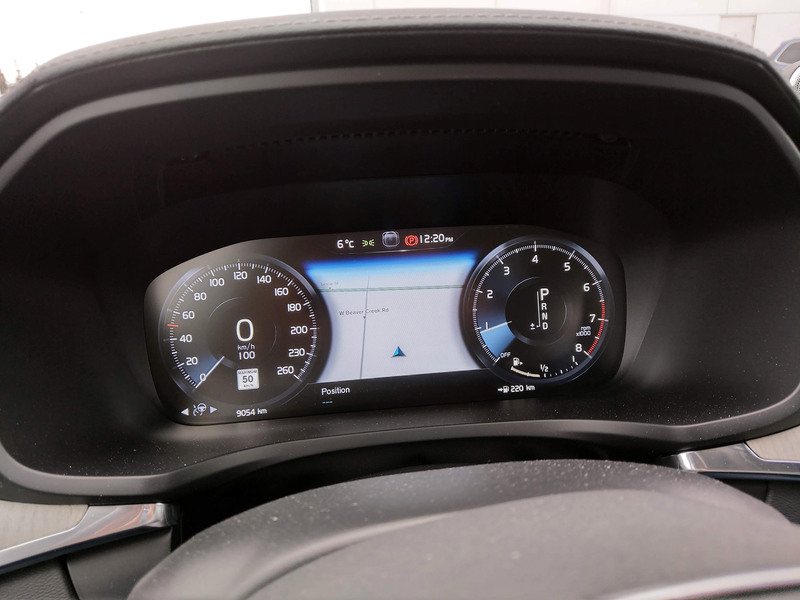 On the other side of the steering wheel is where you’ll find the voice control button, a menu button to control the digital instrument cluster, volume controls and next & previous. The V60 I tested also had Park Pilot Assist which will park your vehicle for you. It did work but not every single time. 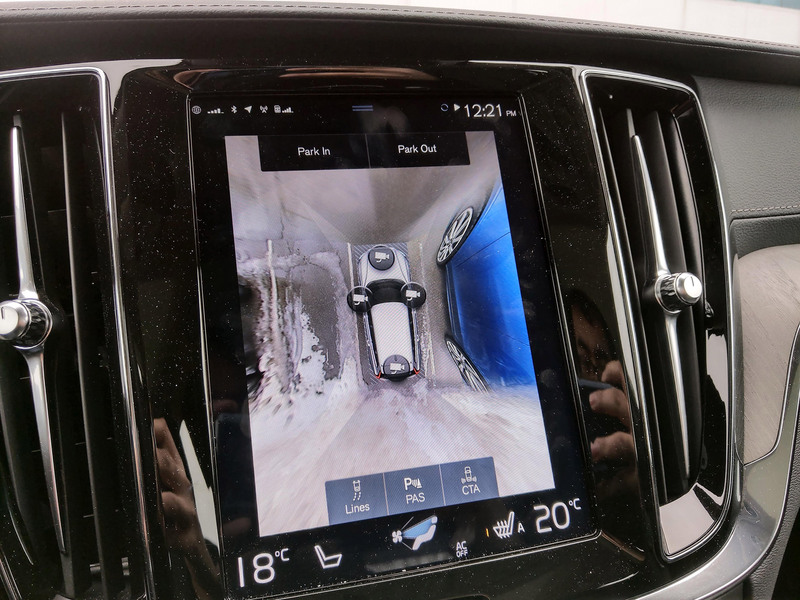 There was also a 360-degree Surround View camera which is crisp and high-quality and makes it easier when backing out. There is one camera in the front and back and then one camera on each side mirror. Another standard feature is smartphone integration via Android Auto and Apple CarPlay. One optional upgrade is the Bowers & Wilkins Premium Sound System which sounded great and can get fairly loud. The V60 starts at $43,900 CAD but if you want some of the features listed above, you’ll need to pay extra. The total cost of the Volvo V60 Inscription I tested was $66,750 CAD. 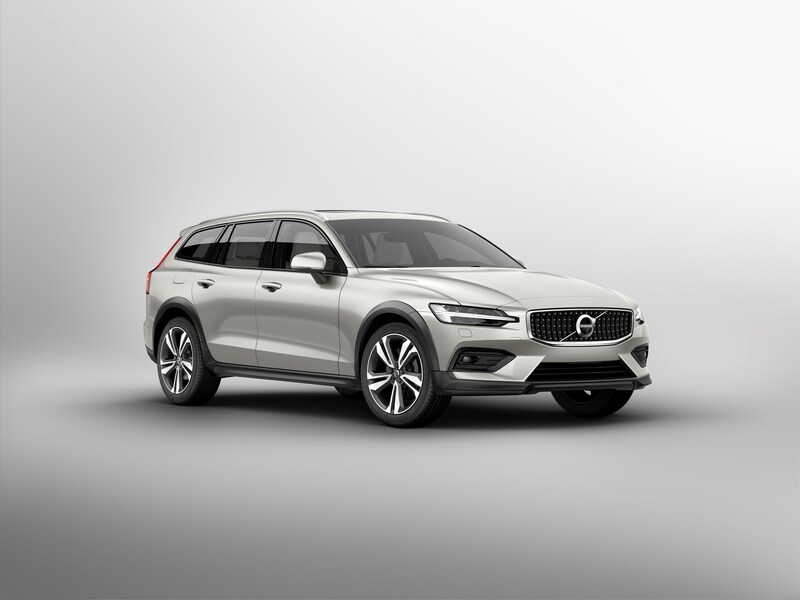 The Volvo V60 is also available for purchase via the company’s subscription service, Care by Volvo. The V60 comes with the company’s Sensus infotainment system. 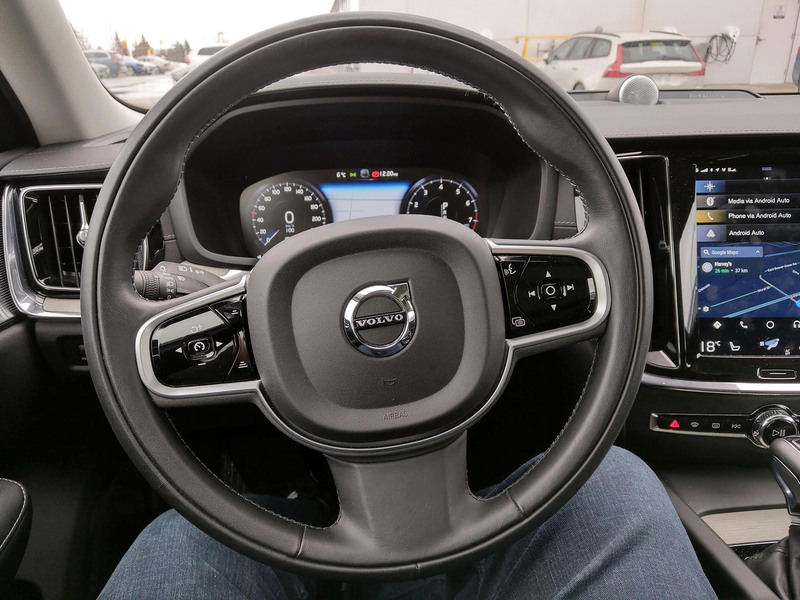 It can be controlled via the touchscreen in the center of the dashboard or voice in a limited capacity. The main screen is divided into four sections, Navigation, Media, Phone and the last section varies depending on the mode. 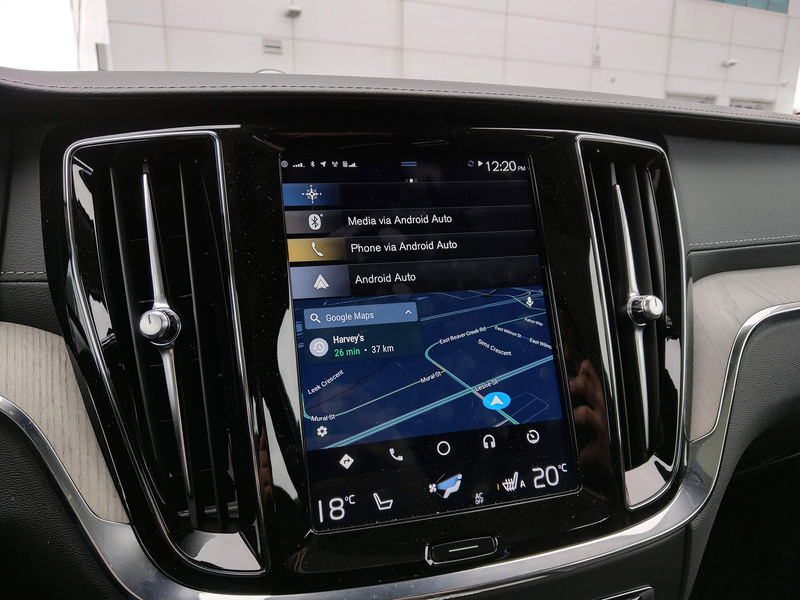 If you have your phone connected, then the bottom section of the touchscreen will show your Android Auto or Apple CarPlay. I tested Android Auto on the V60 using my Pixel 3 XL and it worked well for the most part. If you swipe of the left, that’s where you’ll find the driving featured like Lane Keeping Aid, Parking Assist, Cross Traffic Alert, Auto Start/Stop, Cameras and more. At the bottom of the Sensus touchscreen is where you can control the heating and air conditioning. When you swipe to the right, is where you’ll find all the types of media and various apps. The Sensus touchscreen is very smooth and responsive and feels like navigating your phone. Below the main touchscreen is where you’ll find the home button for Sensus and below that are the hazards lights button, play/pause, skip/reward and drive mode button. The Volvo V60 is a versatile vehicle as it gives to lots of cargo space plus the agility of a sedan.